Emma and The Doctor. 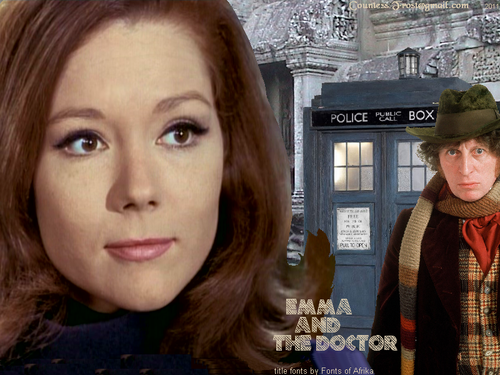 'Emma and The Doctor' - created oleh TheCountess, a crossover wallpaper of Doctor Who and The Avengers TV shows with the Fourth Doctor (Tom Baker) and Emma Peel (Diana Rigg). 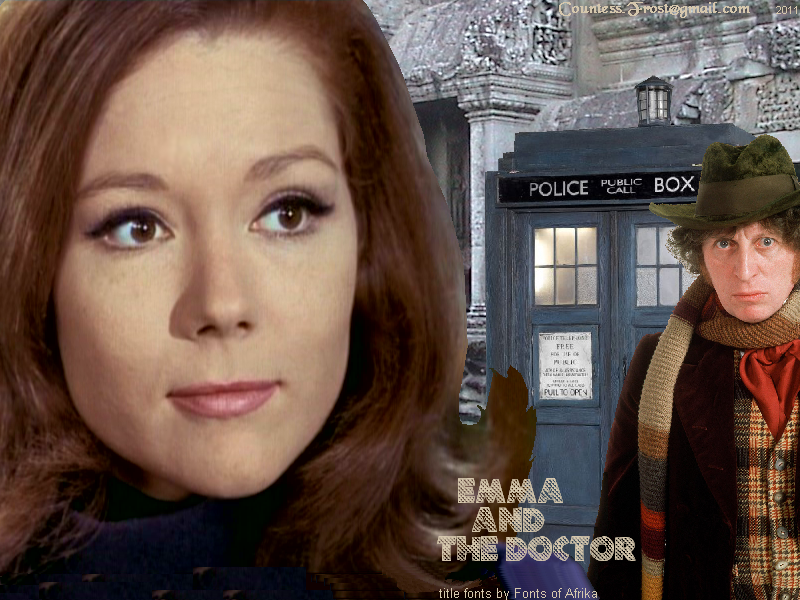 HD Wallpaper and background images in the doctor who club tagged: emma peel diana rigg the avengers doctor who the fourth doctor tom baker tv show fan art wallpaper thecountess. This doctor who wallpaper contains pakaian luar, overclothes, and pakaian. There might also be jalan, pemandangan kota, perkotaan, kota adegan, perkotaan pengaturan, tanda, poster, teks, papan tulis, kap, and hood.